Simon Standage is well known as a violinist specialising in 17th and 18th-century music. As leader and soloist with The English Concert from its foundation until 1990, he made many records (including Vivaldi's The Four Seasons, nominated for a Grammy award). 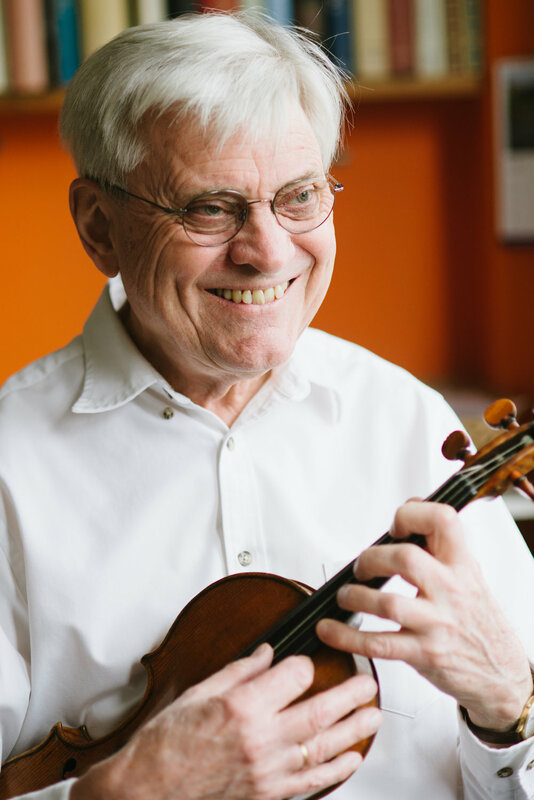 He also recorded solo and chamber music, including all of Mozart's violin concertos with the Academy of Ancient Music, of which he was, with Christopher Hogwood, Associate Director from 1991 to 1995. Since his founding, with Richard Hickox, of Collegium Musicum 90, he has made numerous acclaimed recordings for Chandos Records. As soloist and director of chamber orchestras and chamber musician, he is active both in Britain and abroad. He is leader of the Salomon String Quartet (founded by him in 1981), which specialises in historical performance of the Classical repertoire and is Professor of Baroque Violin at the Royal Academy of Music in London and the Franz Liszt Academy in Budapest. Nichola Blakey grew up in Manchester and came to London to attend the Royal Academy of Music. There she studied modern viola with James Sleigh and historical with Jane Rogers. At present she is freelancing on both violas and especially loves chamber music - she has recently recorded several works with Ensemble Burletta and the Kertesz Quartet for Toccata Classics of music by Hans Gál and relatively unknown (but beautiful) quartets by Václav Veit. Nichola has recently become a local (and a parent) living up the road in Welling, and is relishing life this side of the river and how green it is! Poppy is in demand as a soloist, with recent and forthcoming recitals in Holland and Germany. Solo concerto performances have included touring Poland and live on Danish Radio with Arte dei Suonatori, at many festivals with Fiori Musicali, and at St John’s Smith Square in London, playing Monn, Leo, Porpora, CPE Bach, and Vivaldi. She regularly plays chamber music with renowned violinist Simon Standage including for CDs of Haydn flute trios and Schubert Trout Quintet(Chandos).